Scrolling through images in the “discovery” section of Instagram, you come across a beautiful winter landscape with snow-capped mountains and a stunning sunset. You click it, then explore the rest of the user’s posts, which all revolve around adventure – right up your alley. Once you’ve finished gawking at the photos, you decide to find out more about this thrill-seeking, talented photographer, so you scroll up to the profile. Oh. Their profile photo is blurry and off-center, with what looks like a Golden Retriever’s head halfway out of the shot. But that profile photo turns you off. It tells you something different about the person behind the account than you’d expected. It says that they’re not really concerned with personal branding or how they’re perceived. It says they’re not into striking up relationships with other like-minded people on Instagram. And it even says that they may not have taken their own photos – a photographer that great wouldn’t have a un-aesthetic profile picture, right? Your Instagram profile picture may not be the first impression you make on people (they’re more likely to find your content first, then check out your profile), but it’s nevertheless an important one. A good prof pic has a certain je ne sais qua. A certain cool factor. For that reason, many influencers use fairly edgy profile pictures, to pique interest and intrigue. Instead of putting you to sleep, a badass profile pic will keep people interested and engaged with your profile. With a dimension of only 110 x 110 pixels, your profile pic be small but it’s SO important for 2018. According to science, people can draw a conclusion about you based on your photo in as little as 40 milliseconds. 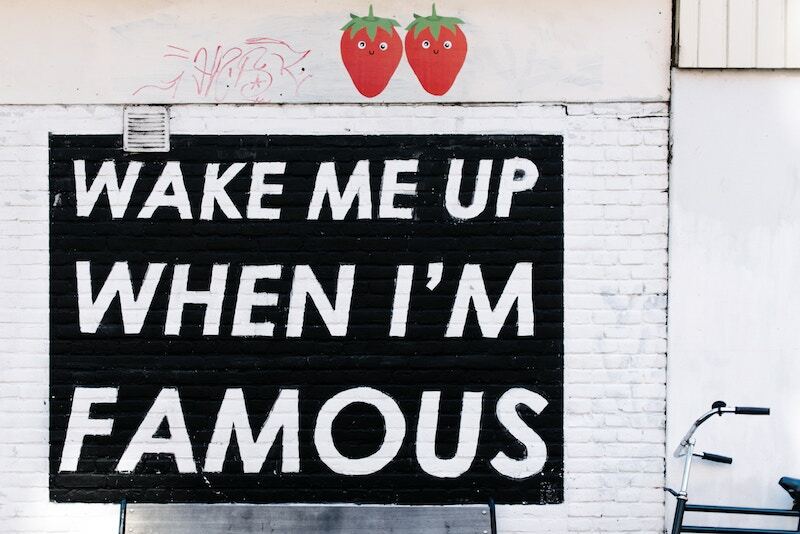 Being lazy about your profile photo means you could be missing out on followers, and it could also limit your impact on your current audience. On a social media platform like Instagram, where quality images are front and center, we can’t help but wonder why so few people put time and thought into their prof pic. 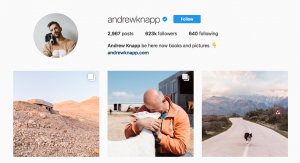 This oft-overlooked part of your profile is arguably THE MOST important picture you’ll ever post on IG, and we’d like to help you make the most of it. And if this has been an overlooked aspect of your account, this is a good opportunity to rethink it, and change your profile pic on Instagram. 1. Pick a cool outfit for your Profile Picture. You can show off your personality in what you choose to wear, but your clothing should also line up with your brand or personal branding. You’re not going to see too much of your outfit, nor think about your hairstyle, accessories, and shirt. If you run a beach products company, wear sunglasses in your hair; if you’re a financial professional, put on a tie. Dark-colored suits paired with light-colored button-downs seem to work well for men, and both men and women should avoid wearing sunglasses on their face or a hat. Overt sexiness should be avoided, too, which means no bathing suit shots or snaps of you in your skivvies. 2. 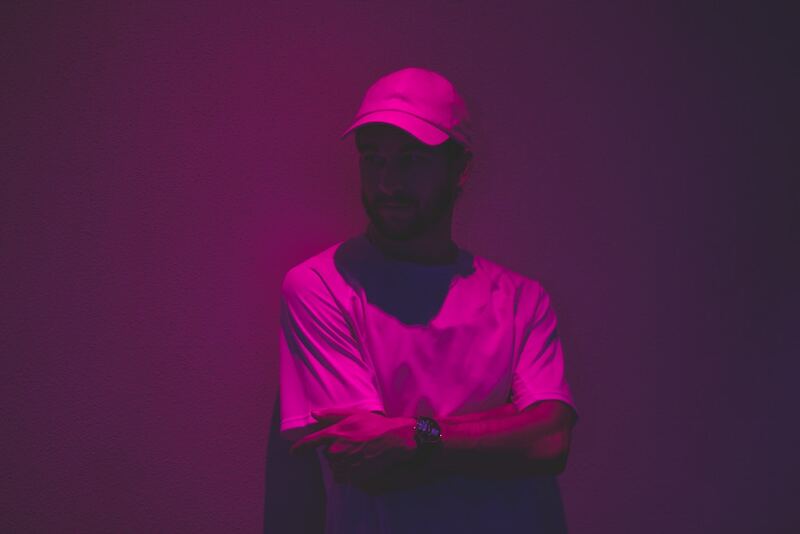 Choose a cool background for your IG profile pic. Of course, there are exceptions to this. 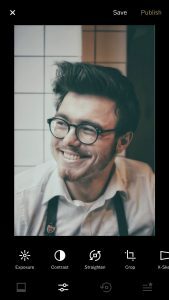 Simone Bramante’s profile photo seems to hit all the right notes, even with a busy background. His setting even adds to his overall brand, and we can immediately tell that this is a creative, interesting account (and individual). If the background is a color – and some feel that bright backgrounds are actually great on social media – just make sure that the color doesn’t clash with what you’re wearing or put a strange, tinted hue across your face. 3. Find a light source. When it comes to photography, natural light is best, but you don’t want to put yourself in direct sunlight at noon because you’ll capture harsh shadows. Try to take your profile photo during the Golden Hour, which is the hour or so around sunrise and sunset. If you can’t escape midday bright light, take the photo inside by a window or outside in a bright-but-shaded area. Unless you’re a pro, avoid backlights and flash. Unless you’re using Instagram solely for personal pictures, and you don’t have hopes of becoming an influencer, make your profile photo whatever your heart desires. Otherwise, show your face in your prof pic. 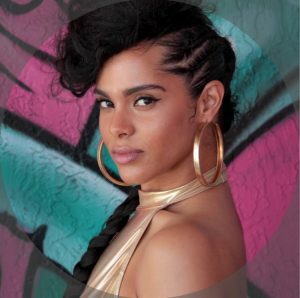 Barring an identical twin with the same exact haircut as you, nobody looks quite like you, which makes your face your biggest stand-out-from-the-crowd determiner. Yes, your puppy may be adorable, but people can’t differentiate between the millions of puppy profile photos there are, so nothing about it will scream, “Hey, it’s me!” Plus, there are plenty of clever ways to add a pet or prop to your photo without replacing or covering your face. Bottom line: people will forge a better connection with an actual human face over a pet or an inanimate object. In the first photo below, the photographer clearly shows what he does, but it’s impossible to make a connection with him because we don’t even have a hint of what he looks like. In the second photo, the photographer shows what she does without hiding her identity. Try this: smile and show your teeth, but avoid a laughing smile. According to science, a laughing smile may be likable, but you could lose out when it comes to how competent and influential you’re portrayed. You can also squinch, which is squinting just a little bit. If your eyes are too wide in your image, you could come across as fearful or too intense. 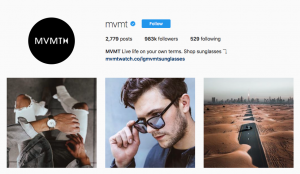 There’s a caveat here: if you’re using Instagram to only promote your brand – and not, say, you, the owner of your brand – you can use your logo or your most recognizable product as your profile picture. Or, you can do a combo, like you in front of a sign of your logo. Ideally, your face and your brand are synonymous, so you can show your face in your profile picture without inhibiting your branding. 5. Show your face professionally. We’re not done with the “show your face” guideline, because that fuzzy snapshot of you on your rich friend’s boat isn’t going to cut it. Neither is the cartoony South Park, M&M’S or The Simpsons version of you. You need to be professional. But…professional doesn’t mean stuffy, especially if “stuffy” isn’t exactly the culture your brand is going for. Professional means clear, up-to-date and styled. If you can hire a pro to take headshots, great. If not, pull yourself together in whatever way you want to represent yourself (how would you show up for a meeting with an important client?) and find a location that accurately represents your brand. 6. Make your IG Profile Pic personal. Your Instagram profile picture and your account as a whole are about you. Represent yourself accurately, personally and uniquely. In other words, make it cool. This doesn’t mean you should go out of your way to be different – that’s actually the least unique thing of all – but that you shouldn’t shy away from your true self because you’re afraid of what others will think. 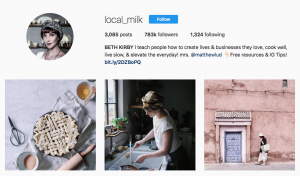 Even when you’re using your Instagram account for your brand, your customers want to deal with a real person, one who has interests and quirks and similarities they can relate to. You can also personalize your photo with your surroundings. For example, if you’re a writer, you can have your profile photo taken as you sit at your desk, surrounded by your writing tools. That would be cool! Public speakers can have their photo taken while they’re at a podium. Just make sure that your surroundings will still be shown in the photo once you crop in close to accommodate the small size. 7. Keep your picture evergreen. The place to celebrate the now isn’t in your profile photo, it’s in your feed (or better yet, in your Stories). If you use a profile photo that’s somehow tied to a certain time or season – like a recognizable annual event or Christmastime – it’s going to quickly look outdated, which means you’ll either have a profile that’s easy to ignore or you’ll have to go back through the steps to find yet another perfect Instagram profile photo. The photo below tells you a lot about Isaac and it avoids any elements that will to eventually seem outdated. 8. Get close. Closer. A little closer. Your Instagram profile photo is teeny tiny, and you can’t click on it to expand it, so it’s going to stay that small. If you use a faraway image, nobody’s going to be able to make you out in it. A well-proportioned headshot for Instagram will show your head and a little bit of your shoulders, or a head-to-waist photo at the most. Instagram profile photos are cropped round and the photo you start out with should have dimensions of at least 110×110 pixels. In the image below, you’ll see how the circular crop cuts off the corners of the original image. To get your photo just right, use Canva, which lets you create designs for free in predetermined or custom sizes. You may also want to check out Profile Picture Maker for Instagram on the Apple Store, which has circular borders so you know exactly how your image will be cropped. 9. Edit, but don’t over-edit. Even professional photographers like to touch-up their images a bit before posting them online. While your phone probably has a built-in editing app, you may want to try VSCO instead, which has free, professional-grade editing tools. If you’re going to apply a filter, turn down the intensity a bit. Ideally, your edited image should look perfected without being unnatural. Check out this list of the 21 best photo editor apps for Instagram and choose your favorite. If you’ve narrowed your options down to a few photos, try them out by posting them to your regular feed, or by creating an Instagram Story and including a poll for your viewers. This will help you do a little bit of recon to figure out which photo is most appealing to your audience. 11. Add your photo to your profile. 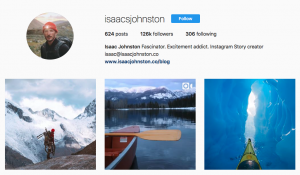 Armed with all of the information you need to make the right decision, it’s time to finally add your Instagram profile. The process couldn’t be easier, and Instagram has step-by-step directions for Android and iOS users. Once you’ve added your new Instagram profile photo, leave it up for a while. You don’t want to change your profile photo too regularly, because you want it to become recognizable and synonymous with your username and feed. Bonus: Update the rest of your Instagram Profile & Bio to Match Your Cool New Prof Pic! 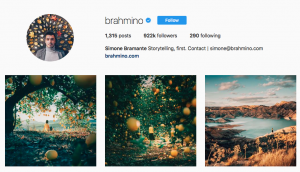 Adding a new Instagram profile photo is a great opportunity to edit the rest of your profile, too, by updating your bio and your website link. 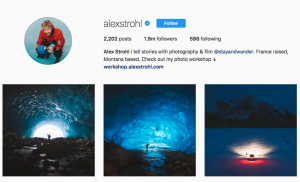 Be sure to follow these best practices for a perfect Instagram Bio. And thanks to Instagram’s latest update, you can now add clickable and searchable mentions and hashtags to your profile. Did you follow our advice about creating good profile pics? Drop us a link in the comments and tell us what you changed!